At the area I parked my bicycle. 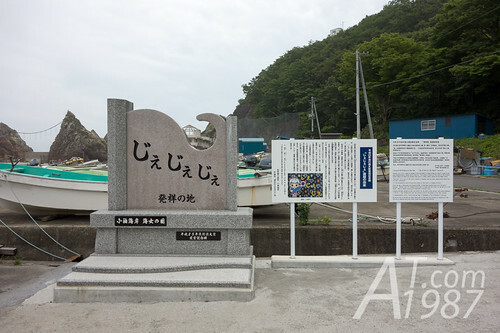 There is a stone tablet with the word “Je Je Je” that is built to celebrate its Word of the Year 2013 winning. Je Je Je is a native exclamation which Amachan writer Kankuro Kudo put in the drama. So it is very famous and wins the prize above. 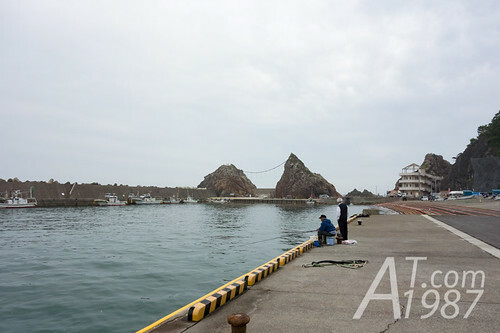 The fishing port is surrounded by a wave barrier. For those who read my last port, the small lighthouse is on the end of the barrier. 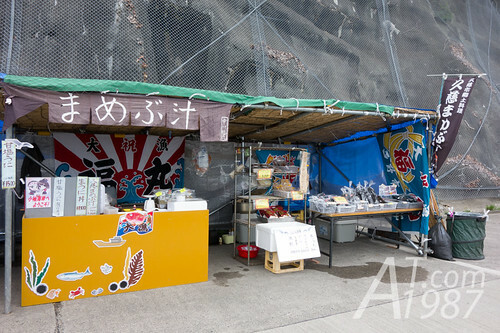 Beside the road, there are vendors who sell fresh seafood and famous native dishes such as Unidon and Mamebu soup. Other than Je Je Je monument. 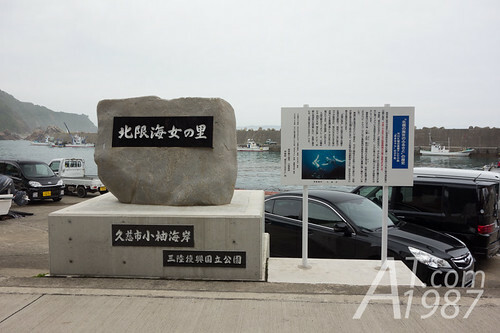 There is Northern Ama hometown monument too. There are many Ama divers in Japan but the northern one is from Kosode. 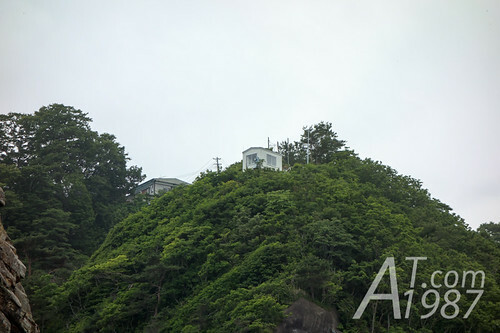 There is a monitoring hut on the cliff behind the port. 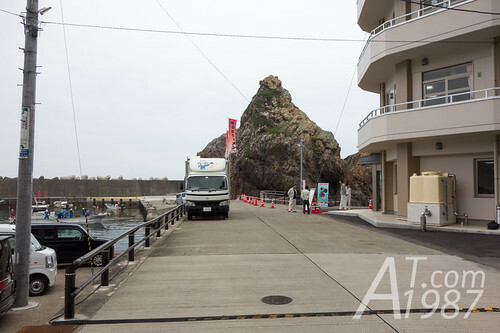 It is one of filming location too. 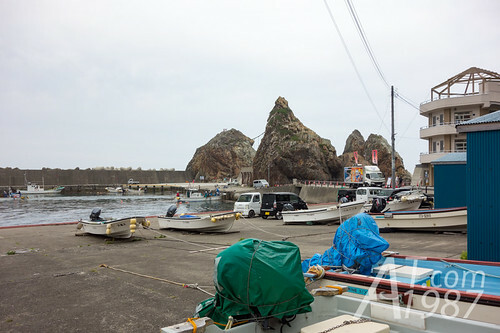 At the end of the road are Kosode Ama Center and a small bridge to the other side of fishing port and Meoto-iwa. Then I went to the other side of the bridge.